Beard Balm vs. Beard Wax vs. Beard Oil - What's the Difference? One issue that men have difficulty with is distinguishing between the functions of individual products, such as oils, balms and waxes. They’re all fairly similar, they’re all best used after your daily shower and shampoo routine, but what are the key differences? In this article, we’re going to walk you through the individual benefits of each. We’re going to kick this article off by talking about beard oils. Personally, I think they’re great. Sure, they can be a little on the greasy side, but that’s only if you use too much of them. Nail the quantity after your daily shower routine and you’ll reap the benefits. By using beard oil on a daily basis, you’ll be able to keep your hair and the underlying skin moisturized. Promoting skin and hair health like this will help you to avoid any unattractive conditions such as beardruff. In addition to moisturizing the skin, beard oil will also soften the hair of your beard, making you increasingly popular with any significant others in your life. It’s unfortunate, but prickly beard hair just isn’t attractive to a lot of people. Using a high-quality oil, however, can put an end to this. Often enriched with ingredients such as jojoba and the increasingly-popular argan oil, beard oils will reduce split ends and soften your beard hair, making it more enjoyable for all. The best time to apply beard oil is in the morning, immediately after showering. This is because your pores will be naturally open after washing and will therefore absorb more of the oil. The first thing you’re going to notice about your beard balm is the consistency. That’s right, they’re a lot thicker than your typical oil. Most because oil is, y’know, oil. A balm has much more substance to it and therefore has a few more benefits. In addition to all of the usual moisturizing benefits you’re going to get from a beard oil, a good beard balm will also double as a styling agent. Although it’s probably not going to have a crazy amount of hold, it’s an absolute godsend to the bros among us who are boasting bushier beards. A decent lump of beard balm massaged into your facial hair as part of your morning routine will help to keep those pesky rebellious hairs at bay, giving your beard style a more rounded, polished look. Beard balm sits straight in the middle of both oil and wax as far as consistency goes, which is why it’s a popular choice for both time-poor and beginner beard growers alike. Personally, I prefer beard oil. This is because running my hands through my beard has always been a go-to gesture when I’m stressed or thinking (it’s also my classic tell when I play poker, but keep that between us). Using a beard balm and running your fingers through it is going to leave your hands coated in balm residue. It’ll be gorgeous smelling residue, but residue nonetheless, so be sure to choose carefully. If you can avoid touching your beard after applying balm or put up with the residue, that’s cool. I just can’t but that’s my personal preference. We’ve reached the other end of the beard product spectrum and that’s exactly where beard wax resides. It’s tough, somewhat unforgiving, but once your beard is in the style you set with it, it’s damn sure gonna stay that way. 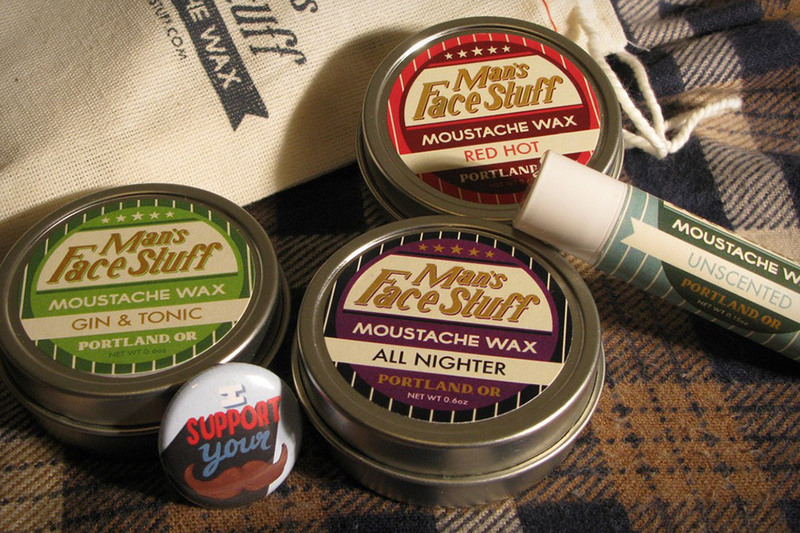 Beard wax is a fantastic grooming aid that’s going to work wonders for any of you bros who suffer from unruly beards. Essentially, it’s the bearded male’s equivalent of hairspray, apart from it’s great for both your beard and the environment. If you live in areas that are particularly cold and windy, beard wax is going to be your best friend. Commonly consisting of ingredients such as beeswax, shea nut butter and coconut oil, a good beard wax will help to protect your beard from the bad weather, whilst also serving to keep it at peak style. If you’re looking for beard oil at an affordable price, Smooth Viking’s range is about as good as it gets. Full-scented and carrying all of the beard oil benefits, these aren’t to be missed out on. For a full review of our top 5 favourite beard oils, click here. The beard balm produced by Mountaineer Brand is a safe bet and it’s got loads of great reviews from across the web. If you’re looking to nourish your skin and keep your beard under control, it’s well worth checking out. It’s world-renowned and for good reason. For many years, Honest Amish have been making the best beard wax that money can buy.